The book and souvenir shop of the British Library, whose customers are an eclectic mix of international tourists and the odd researcher furtively seeking distraction from her current project in the reading rooms, is one of the best places in London to go for women’s interwar crime writing. The small literature section holds a heterogeneous collection of classic and current novels but it always has a few shelves devoted to crime fiction, old and new. 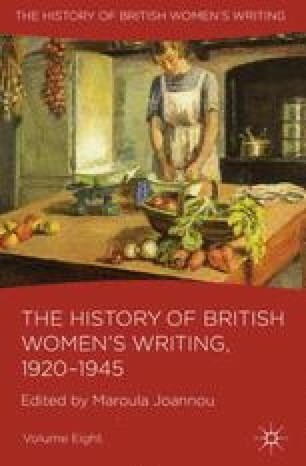 In the former category women writers dominate – Agatha Christie (1890–1976), Ngaio Marsh (1895–1982), Margery Allingham (1904–1966), Dorothy L. Sayers (1893–1957), Gladys Mitchell (1901–1983), Elizabeth Mackintosh (Josephine Tey) (1896–1952) – all of whose careers began in the interwar years. The first four are often dubbed the so-called ‘queens of crime’ of Britain’s ‘Golden Age’ of crime fiction. Allingham and Mitchell experienced some decades of obscurity after their death, but Christie, Marsh, Sayers, and Tey remained defiantly in print, acknowledged collectively and individually as innovators of twentieth- and twenty-first-century British crime writing.